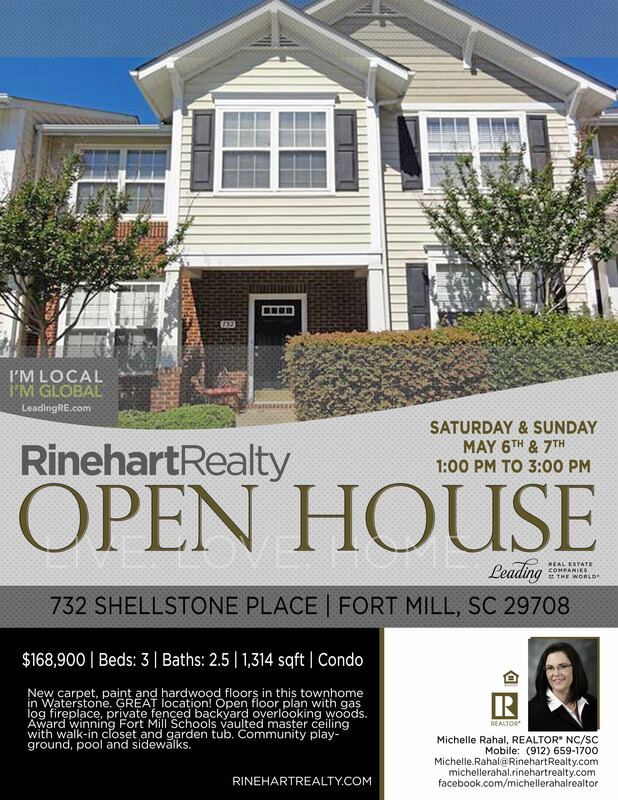 Fort Mill Condo Open House Events You’re Invited See it here first https://www.rinehartrealty. New carpet, paint and hardwood floors in this townhome in Waterstone. GREAT location! Fort Mill Schools vaulted master ceiling with walk-in closet and garden tub. Community playground, pool and sidewalks.